You are right. Net-tulip is “officially” compatible with ESXi up to 6.0 and, as far as I know, VMware black listed this driver in the latest ESXi. I hope things will be changed in near future. Thanks for this write up. Can this work with Azure dv3 instances? Also the wiki for the driver states support for esxi 6.5. However the comment from evgen above says otherwise. Wiki says “Does NOT work With: ESXi 6.7 and newer” , so I’m not sure that it works with ESXi 6.5 even if it’s listed as supported. Additional verification/test is needed. Hi @rlevchenko, thanks for the blog! My system runs HyperV in Windows 2016 (LTS 1607) server and the VM is configured for ExposeVirtualizationExtensions and the legacy network adapter. The ignoreHeadless=TRUE switch is used to start the installer, but still it cannot load nfs41 during the setup loader and the system fails with the ‘no network adapter found’ error. I tried ESXi 6.0 as well as 6.5 and did the build with both the ESXi-Customizer-PS-v2.6.0.ps1 script as well as the ‘manual’ steps in the PowerCLI.. All same result. Any idea where this could go wrong? thanks for the writeup. I’m following the steps 1:1 from this site as well as some others that did the same. Still on my laptop (Windows 2016 LTS 1607) with HyperV (running several other VMs incl some that use the legacy adapter), I cannot successfully install ESXi. The ISO is created and the tulip package has been added. 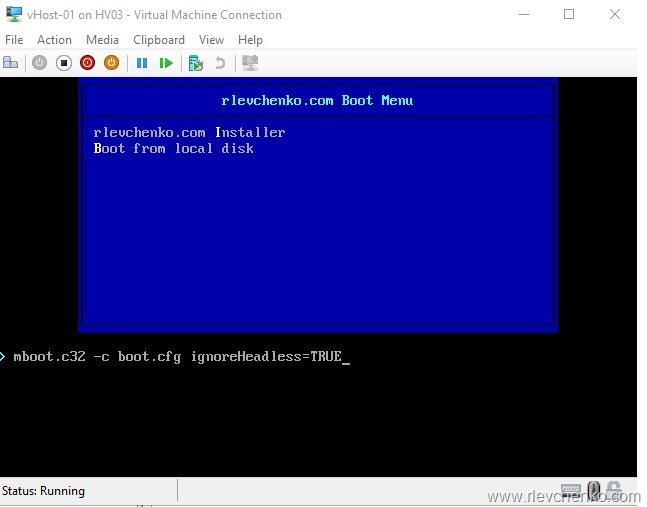 The VM boots with the ignoreHeadless=TRUE switch, but during the phase that the modules are loading the message that nfs41`driver cannot be loaded shows. Later it fails with the no network adapters found message. I tried 6.5.0, and 6.0.0. Both fail the same way. When I prep an ESXi ISO with 5.5.0 the identical way (using the PowerCLI or ESXi-Customizer-PS-v2.6.0.ps1 script) that 5.5.0 ESXi installs fine. So obviously something to do with the net-tulip-1.1.15-1-offline_bundle not being fully compatible with the 6.0 and 6.5 but according to your blog and other that same config at least installs. First of all, what’s your goal? running VMs? 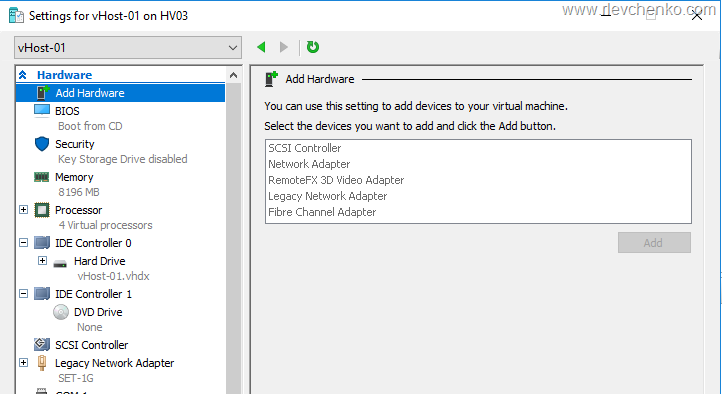 There are some limitations that make such configuration absolutely useless (for example, we can’t load x64 OSes on nested ESXi running on Hyper-V). Regarding your issue, can you double check vm configuration? + it looks like there is something wrong with your image… you can also try another one and repeat customization/installation steps. I used the ESXi 6.0 Update 2 offline bundle to create the ISO.